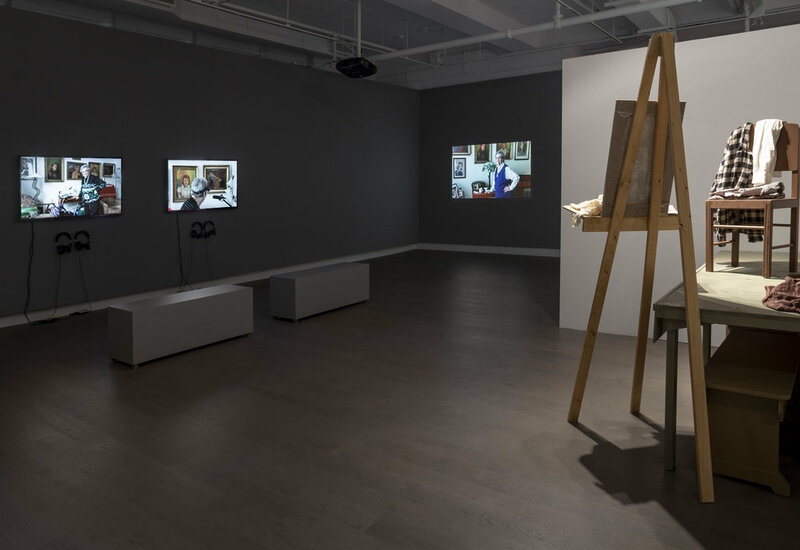 In this new body of work developed specifically for the Koffler Gallery, Hannah focuses on his own biography, re-animating an instant captured eighteen years before he was born. His starting point is a yellowing photograph of his grandmother painting a portrait of her daughter at an art club on an American military base in Kodiak, Alaska in 1953. Hannah works in dialogue with his mother, Barbara Txi Hannah – the subject of the original photograph and an artist herself – collaborating to expand the moment under observation through a multi-media installation. 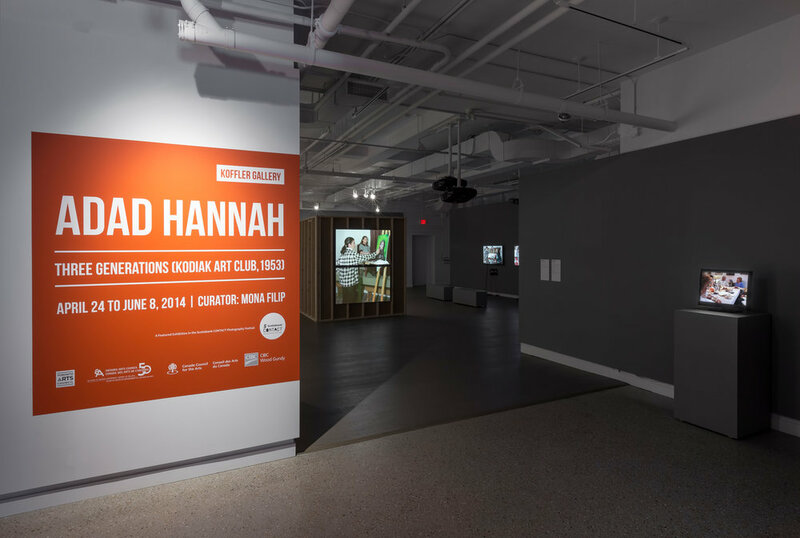 Using photography, video-recorded performance, audio, and set design, Hannah breathes new life into the original image. 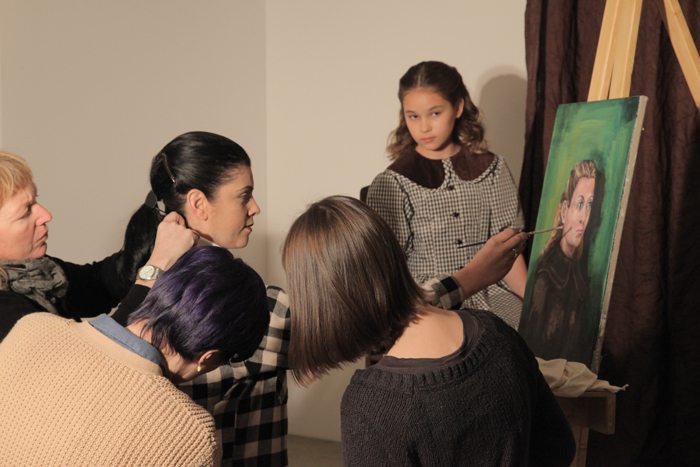 The reenactment of the Kodiak photograph is the centerpiece, along with the studio setting constructed for the video-shoot. Other findings from the family archives, his mother’s autobiographical photo-collages produced for this exhibition, and recent interviews with his 93-year old grandmother provide further insight into Hannah’s personal history. 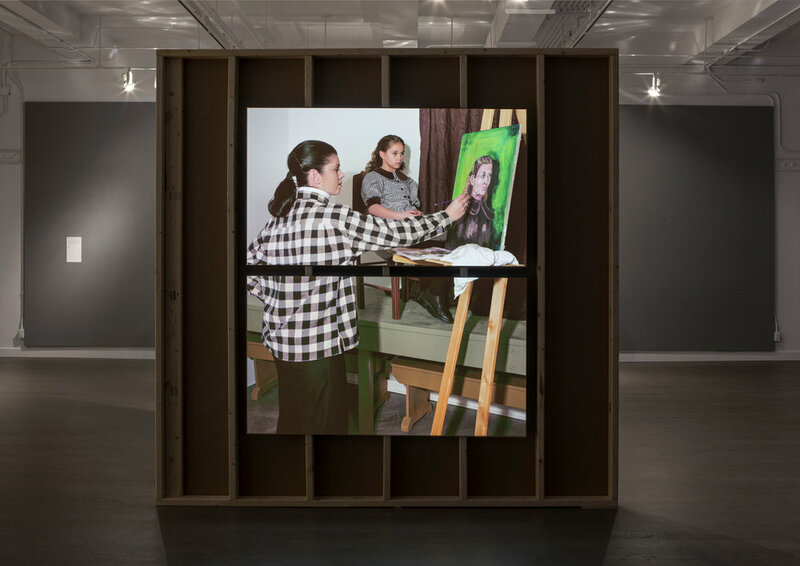 Source materials – including the original oil painting, an article from The Kodiak Bear featuring the art club, and Hannah’s video portrait of his grandmother from an earlier series, Family Stills – attempt to complete the picture. Positioning, for the first time, a family member as collaborator rather than as subject or model, Hannah pushes his practice deeper than ever into the exploration of what has historically been the most popular genre of photography – the family snapshot. Moreover, he continues to examine the conceptual and historical associations between the visual media of photography, painting and sculpture – revealing both artistic and museological strategies of exposure. Drawing attention to the performance inherent within photography, Hannah creates space to reflect on the production and communication of meaning. 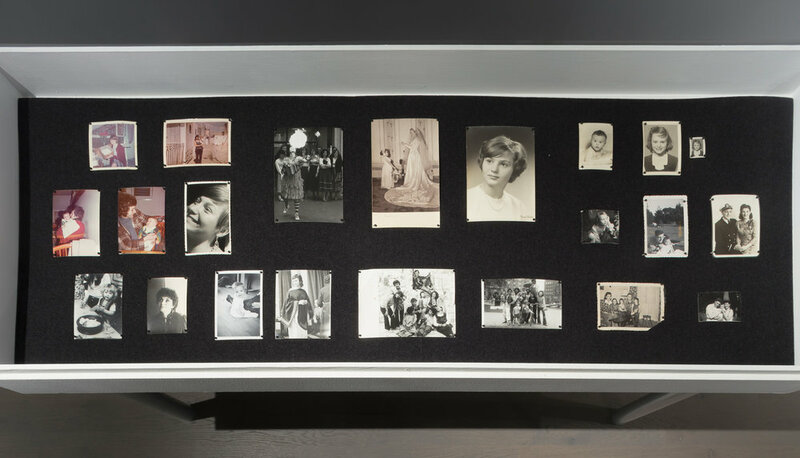 With this investigation into a family’s archive, he considers the nature of memory within the familial context and specifically its significance and transmission among relatives and across generations. Original painting by Sally Gross from 1953. Sally in Albany, 2010. HD video 5 min 36s. Installation view of Three Generations (Kodiak Art Club, 1953), 2014. Archival photographs, newspaper article, and exhibition brochure from Kodiak, Alaska, 1953. Collaged photographs by Barbara Txi Hannah. Vitrine with "doubles" prints - photographs that were sent to relatives and eventually returned many years later, their folds, discolouration, and aging show the different lives each print has lived. 2014, Three Generations (Kodiak Art Club, 1953), Koffler Gallery, Toronto, Ontario.